There are 3 reviews of Viride. Viride is my second try from the house of Orto Parisi after Boccanera, and like Boccanera, I quite like Viride. Again omitting specific notes, perhaps a feature of this brand like Nasomatto, Viride is a green and woody fragrance as generally categorized. It's hearty, with plenty of depth, so a mix of woods is what mainly comes to mind, though there's a slight, subtle brightness that allows it to be, at the same time, sort of green. I can't quite discern what notes are involved, only that there's an earthy side to it as well, perhaps with patchouli or vetiver. Performance is outstanding, as it was with Boccanera, definitely a little more impressive on longevity than projection, as many are, but still powerful juice if you dig the fragrance. The price of even a perfume ($195 for 50ml on Luckyscent et al) is difficult to justify unless it's a love, as almost $4 per ml is on the pricier side for sure. 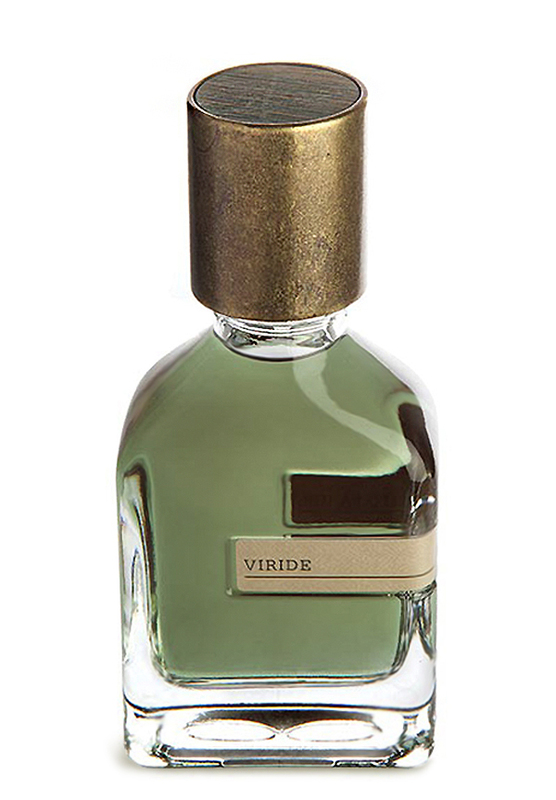 Viride is certainly a fragrance worth trying, but I doubt anything but a dramatic price reduction could make me have any serious interest in buying it. Still, I rather like it, just don't love it. I like this scent. It is VERY woody from the get-go. It has some striking but brief cool-herbal notes -- perhaps basil and artemisia. It develops into a smouldering woody brew with a pronounced balsamic spine. The balsam makes it a tiny bit sweet but it it not problematic. At times the balsam even seems a bit like cocoa powder. Cedar is the prominent wood, along with a bit of some kind of incense. Great longevity, wears well and is enjoyable for wood fans. Viride tricks you into thinking Gualtieri’s gone back in time, but Viride—the name of a deep, jelly-green andalusite gemstone—is built upon his usual bag of tricks. Highly unnatural and cranked up to at least thirteen, the scent blasts off with some coniferous items merged with herbs—some of which run a tad minty. This digital forest pushes the scent a tad too “cleaning product” at times, but reels itself in before falling apart completely. Picture a wall of anonymous “green” scented chemicals over a slightly powdery base (that gets progressively sweeter as the scent develops) and you’ll have a sense of what this is about. Slight vegetal, mossy, herbal, coniferous notes are present, but bleed together because of the sheer volume. Also, I’d argue that the weed note that pops up in the Nasomatto line makes a return here—it’s subtle, but I think it’s there. There’s no space, no definition, no real texture, just volume. The result is paradoxical: opportunities were clearly missed to inject dynamics; yet despite the total barrage, it somehow manages to keep keep within the limits of decency. Like much of Gualtieri’s work, Viridine can be compared to the kind of digital music production that overuses compression—all of the peaks and valleys are smashed flat, and the result is amplified to speaker-destroying levels. This is an inarticulate scent—but it has a home amongst other scents that place insane longevity and projection as a primary concern. There are no member images of Viride yet. Why not be the first?